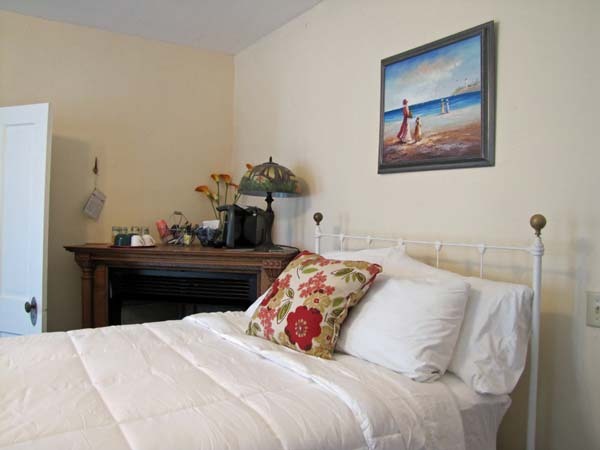 Claude Monet was known as the “Painter of flowers”, enjoy his artwork and mine when you relax in this comfy second floor room. 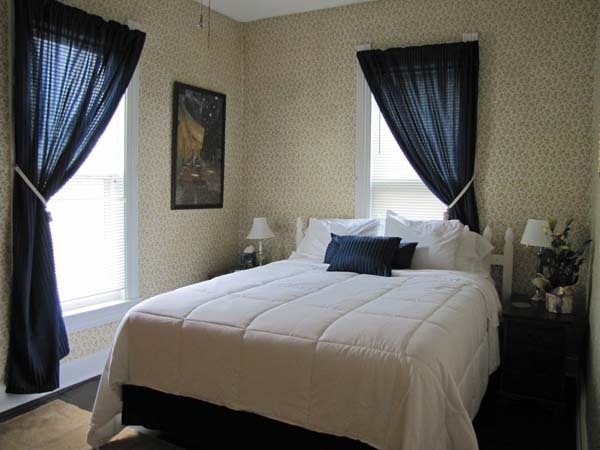 A beautiful magnolia tree enhances your view of town from your 3 floor to ceiling windows , has 8’ ceilings and original maple floors. 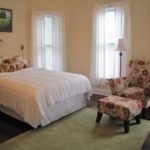 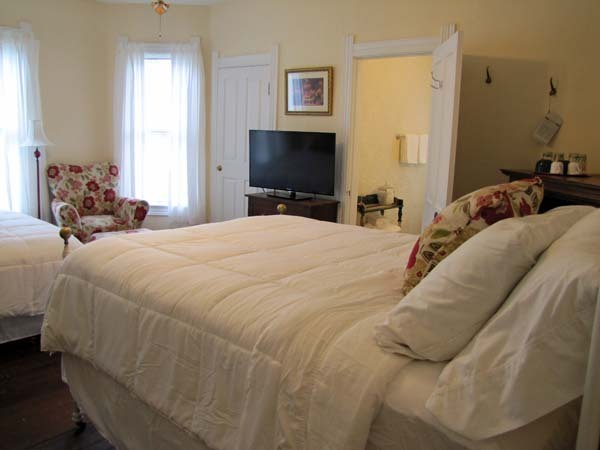 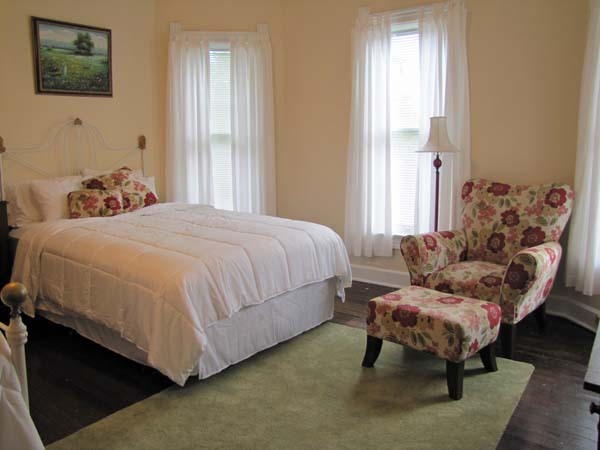 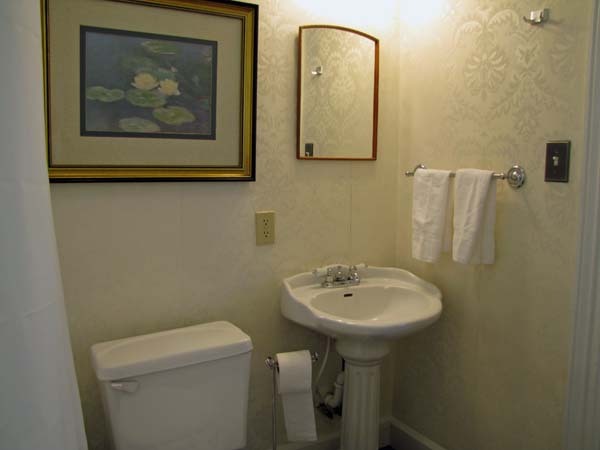 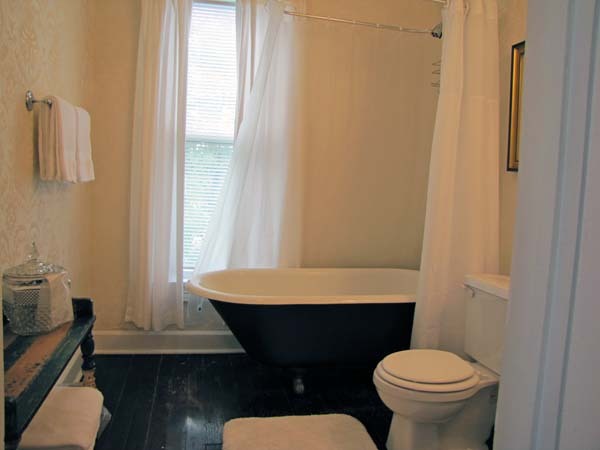 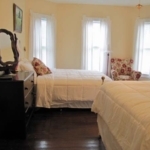 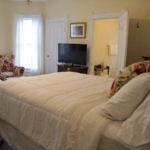 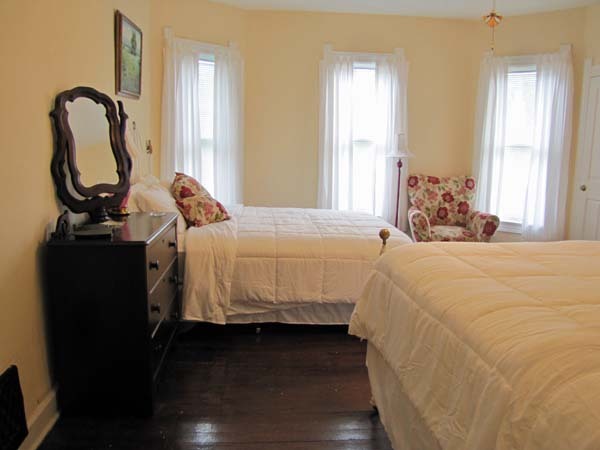 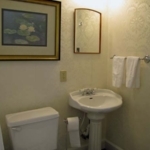 You will find a queen and full bed, full en-suite bath with claw foot tub, vintage and antique furniture, clock, ceiling fan, internet TV, hot water dispenser and mini frig. 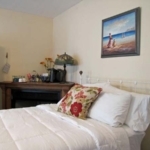 The room sleeps 4 and also has extra blankets, pillows, hairdryer, toiletries and plenty of room to relax. 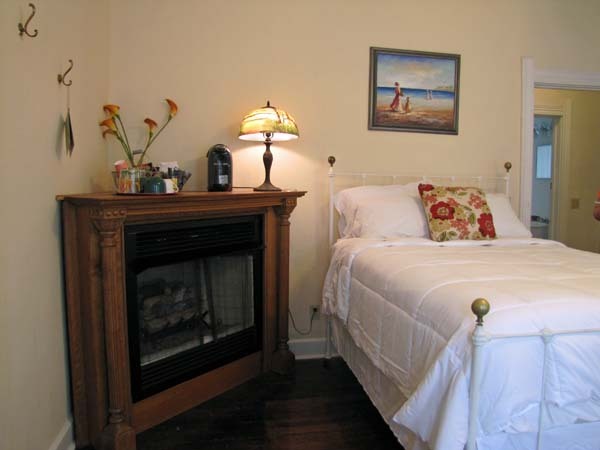 Enjoy your favorite show on a flat screen internet TV after your day of shopping or hiking.